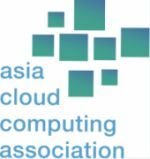 SINGAPORE, Feb 12, 2018 - (Media OutReach) - Future-proof technology policies are key to the Asia Pacific region harnessing the future of work, says the Asia Cloud Computing Association (ACCA). Releasing an Industry Statement on the Future of Work, the ACCA recognises that rapidly evolving technologies pose unique challenges to governments, and urges policymakers, regulators, and academics to ramp up the dialogue and preparation for the global digital economy of tomorrow. "Cloud computing has been driving tremendous change over the last eight years," says Bernie Trudel, Chair of the ACCA. "From the Internet of Things to artificial intelligence, it has fuelled today's advancements in automation, interconnectivity, and interoperability - effectively re-defining work in the digital age." But harnessing its full potential requires a number of cultural, technological, and policy changes. This is especially true for Asia Pacific economies, where new business models and opportunities hinge on governments' ability to arm workers and organisations with the necessary digital skills, tools, and frameworks. "The ACCA is helping governments around the region obtain the information they need to take an informed approach to transformative technologies," says Barbara Navarro, ACCA Exco Member. "This includes showing how cloud services can have a positive impact on businesses and the economy as a whole." "ACCA members recognise there is an increasing interest in future-proofing technology policies for the workplace," adds Eric Hui, Vice-Chair of the ACCA. "This has led them to draw up five key recommendations for governments to not only gain a holistic understanding of new technologies' impact on the future of work, but also adopt innovative policies to effectively seize new business models and opportunities." "There is no better time to begin this conversation on the Future of Work," concludes Lim May-Ann, Executive Director for the ACCA. "As new technologies push the ICT industry forward, governments, the private sector, and citizens must work closely to ensure continued and sustainable growth for Asia Pacific. As such, we welcome comments and engagements to help us build this next stage of our region's future together." 1. Take a balanced and measured approach to technological change: We must look beyond emotional responses when examining the impact of new technologies. From self-service technologies and mobile applications to applied robotics and artificial intelligence, technological innovations are transforming a wide range of sectors in Asia, making workers panic at the thought of being made obsolete. It is important to demystify their impact and help workers prepare for their new roles in the global digital economy. 2. Encourage the evolution of cultural perspectives on work: We must accept that work practices are evolving in tandem with new technologies. From flexible working arrangements to teleworking schemes, workers the world over expect their professional schedules and responsibilities to adapt to their lifestyles needs. For a true future-ready workforce to emerge in Asia, it is essential that perspectives and attitudes evolve in this regard, or the region risks losing an invaluable pool of talent to more progressive markets. 3. Redefine what it means to work: We must understand the way new technologies are redefining the very notions of "work", "effort", and "productivity". Automation is now able to replace a number of routine tasks, freeing workers for more complex missions and increasing the search for professional growth. In Asia as elsewhere, a truly sophisticated work environment is able to use digital technologies to streamline operations, simplify processes, boost productivity, while ensuring tasks remain engaging, fulfilling, and rewarding. 4. Mitigate and address disparity and inequity: We must recognise the fact that differences in economic prosperity are likely to be reflected in the impact of new technologies. The transition to the digital economy will not be the same across emerging and mature Asian markets, and neither will the impact it will have on businesses and industries. Far from an unsurmountable obstacle, this reality is the opportunity for economies to clearly define and exploit the competitive advantages that define their specific working age population. 5. Support re-skilling and continued education: We must be aware that the current wave of digital transformation is but a step in a wider scale of constant transformation. It is indeed urgent to prepare the workforce with the tools to survive, compete, and excel in the new digital environment. But it is just as important to do so in a way that anticipates transitional shifts even further into the future. A truly sustainable workforce is one that is able to consistently and continuously upgrade its knowledge and skills as needed.